Aguada Fort - GoGoaNow ! Built in 1612 the Aguada fort is situated on a headland in Candolim. The Aguada fort is situated on a headland in Candolim. The fort was built in 1612 as a result of increasing Dutch Naval attacks in the Mandovi river. The fort acted as a major reference point for the ships coming in from Cape of Good Hope. 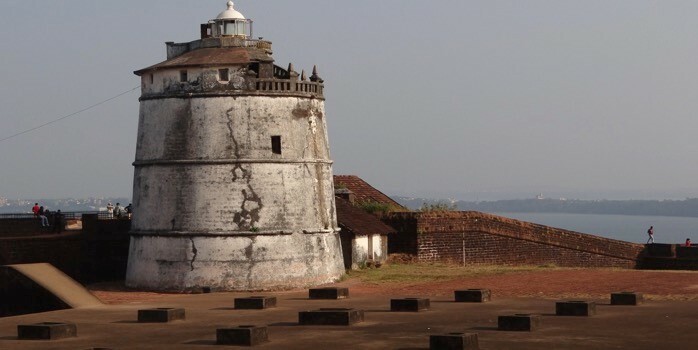 In its glory days, the fort had around 200 cannons installed which unleashed havoc on the enemies entering through the Mandovi. One of the most prominent elements of the fort, apart from the massive walls and bastions, is its lighthouse. The white structure stands out among the dark stony walls of the fort. Built in 1864, the lighthouse is one of the oldest of its kind in India and among the first lighthouses built in the whole of Asia. 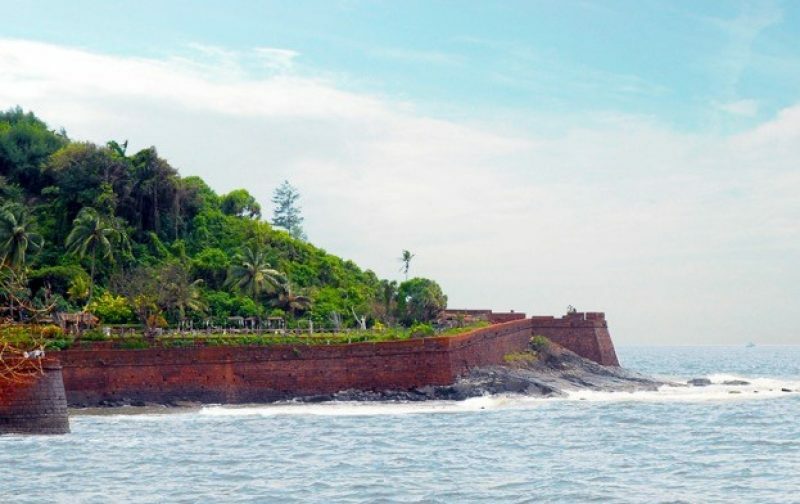 The fort got its name Aguada as ‘aqua’ for water due to the abundance of water from natural springs on the hillside, making the fort an important first watering point for ships which just arrived from Portugal.